In the last newsletter I told you I would have some news for you. 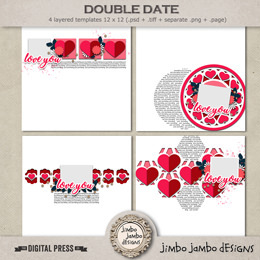 I wanted to share with you all that I’m guesting at The Digital Press shop in March and it means new and exclusive packs not released before. This weekend I have something really special as one of the packs is a part of Special Edition collection and is 50% off (Against all odds) and the other one (Fine-tune) is 20% off. Next week I will have another two packs for you and can’t wait to be able to share them with you. Today I leave you with two new packs. Enjoy your weekend! I hope to be able to scrap a bit and you?